Dr. Melik Peter Khoury (pronounced like “Corey”) became Unity College‘s 11th President earlier this year and recently joined us in-studio for an update about America’s Environmental College. 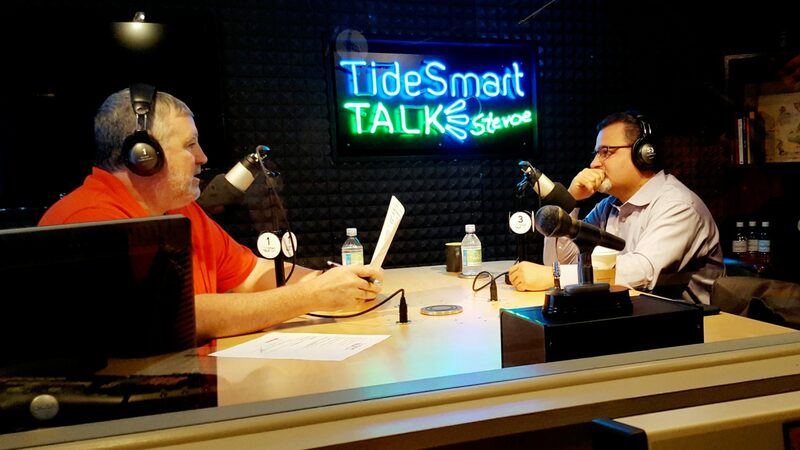 Host of TideSmart Talk with Stevoe, Steve Woods, welcomed Dr. Melik Peter Khoury, President of Unity College (at right). Dr. Khoury is a first generation American who found himself in Maine thanks to an American television show about the Korean War (better known as M*A*S*H). Khoury’s father owned a restaurant in west Africa that frequently had American patrons. One of the customers shared a copy of the television show. Khoury fell in love with the fictional town of Crabapple Cove, Maine, home of character Hawkeye Pierce. When Khoury made the decision to move to America to go to college, he immediately knew he wanted to be in Maine. Khoury recalls that his story is not so unique. While moderating over a group of international students during his tenure as SVP at Upper Iowa University, a Japanese student mentioned that he chose to live in Iowa because it’s the home of Star Trek’s Captain Kirk. In the 20 years since Khoury has been in Maine, he has significantly expanded his resume. He completed his undergraduate and graduate degrees in the UMaine system (UMaine Fort Kent and UMaine Orono, respectively), and his DBA from the University of Phoenix. He worked in various positions while studying at UMaine Fort Kent, which helped shape his future in academia. Khoury learned how many people in how many departments it takes to make a college run smoothly. He has worked for several different colleges and universities, making sure to better each one along the way. He has been with Unity College since 2012, starting as the SVP for External Affairs, to Executive VP, to Chief Academic Officer before stepping in as the Interim President, filling the shoes of Dr. Stephen Mulkey, who left in 2015. Khoury also spoke about types of education. He received his DBA online at the University of Phoenix and he believes that the future of education is going to include more online learning. While online education and “regular education” seem to be seen as two different options, Khoury says that one should enhance the other. The resources should be presented together in order to prepare someone to be a productive member of society. To hear more about Dr. Khoury and Unity College, please listen to the interview below or visit unity.edu. Posted on Wednesday, September 21st, 2016 and filed under Show Recaps.